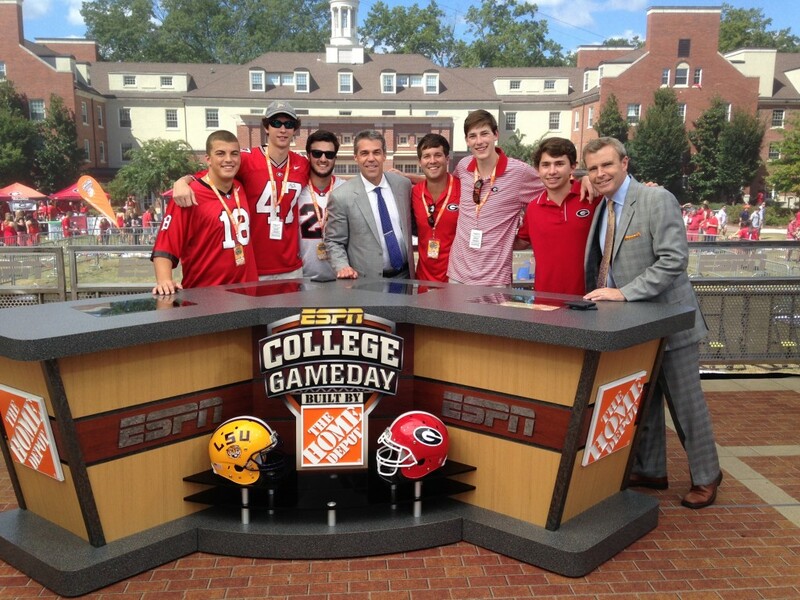 Eta – University of Georgia » Click Here for UGA Football Tailgate Dates! 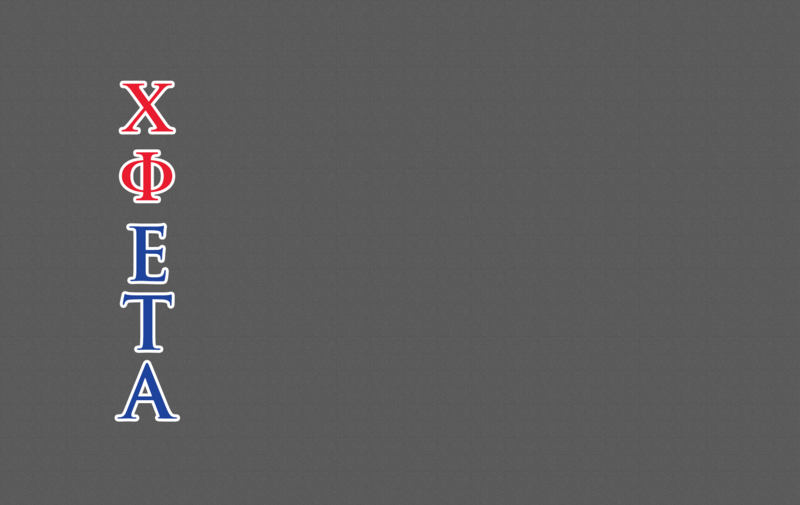 Come join the fun with the Chi Phi Dawgs tailgate schedule for 2018. I must tell you about the tailgate itself, what to expect, places to park and the like. The parking lot behind the Chi Phi House holds approximately 80 automobiles. While you will likely find a place to park immediately behind the House, there is always a danger you could be blocked by other cars when getting out, although blocking cars are supposed to leave their keys. 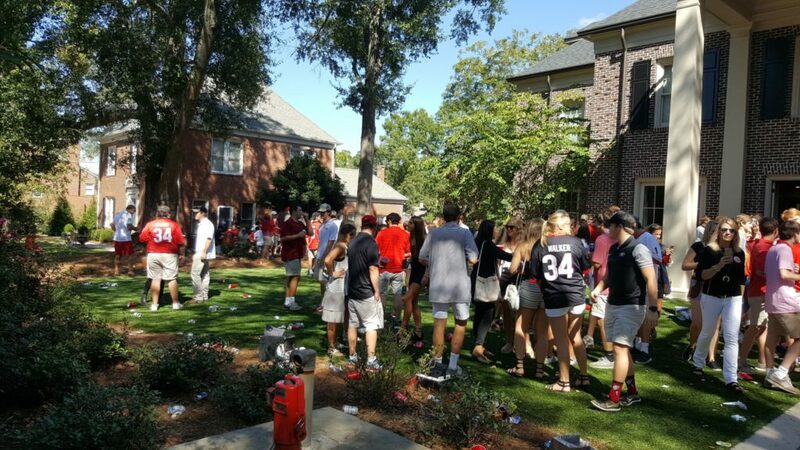 Normally there is plenty of free parking along Rutherford Street (the Chi Phi House is on the corner of Rutherford and S. Milledge) on the West or Atlanta side, and the walk is less than 100 yards. If you prefer, you can park behind the chiropractic office right across the street from the Chi Phi House, and there are also hundreds of parking spaces behind Clarke Central High School, near the intersection of S. Milledge and Baxter, two blocks away, but these places charge a parking fee of $25.